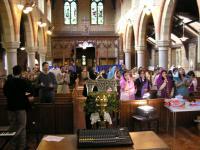 WELCOME TO THE WEST LONDON CHURCH OF GOD WEBSITE! Welcome! These are some useful links. We will be adding more later on. · Day Springs - Send A Card! DAILY BIBLE QUIZ - TRY IT! Please Submit Your Prayer Requests here! Do You Like to receive Jesus? We are in the process of raising support for a permanent worship facility. We covet your earnest prayers and support in the ministry. Please send your cheques pay to the order of West London Church of God. Our mailing address is: West London Church of God, 12 Farm Close, Southall, Middlesex, UB1 3JF, England, UK. Or if you would like to call: 44 (0) 7903 549 094. We appreciate your financial support whether it big or small. God Bless You! 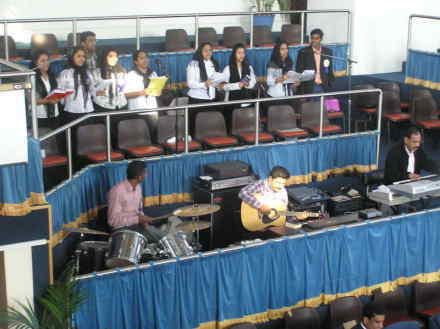 West London church of God is a bi-Lingual ( Malayalam / English ) family church based in London. if you are looking for a place of worship, please come and worship with us this Sunday. For more information please contact + 44 (0) 7903 549 094. wlchurchofgod@aol.com . · Directions & Maps of WLCOG Worship Places. London Tube, DLR, Rail etc.